Keep Oldies 97.3 on the air and donate! 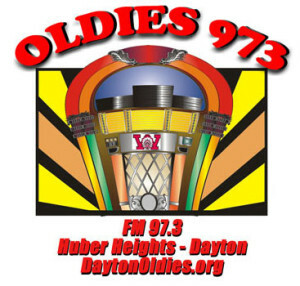 | Oldies FM 97.3 Radio, YOUR Community Radio Station! Oldies 97.3FM runs solely on the generous support of its listeners, community and volunteers. All staff members are unpaid volunteers and our not-for-profit status ensures that all donations go toward the station. Your donations support our basic operational needs, such as tower rent, utility bills for electric and telephone service, music licensing and programming fees, and equipment repairs. Your donations also help to support upgrades to our equipment as our finances allow. These upgrades help to improve our station’s capabilities and quality of programming. Listeners, we appreciate your generosity and look forward to bringing you more great music, sports and community activities. Every little bit helps, and no donation is too small! If you are interested in donating to the station, feel free to click on the Paypal link above; or if you prefer to send the donation by mail, please click on the “Listener Donation Form” link below for a printable donation form. $250 or more: Includes one (1) daily mention to run for 6 months. $500 or more: Includes two (2) daily mentions, including a custom spot. Mentions to run for 6 months. A custom webpage/advertisement will be added to the DaytonOldies.org site, with links to your existing web site. $750 or more: Includes two (2) daily mentions, including a custom spot. Mentions to run for at least 1 year. 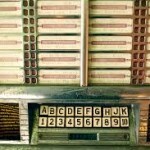 A custom webpage/advertisement will be added to the DaytonOldies.org site, with links to your existing web site. Any General Station Underwriter of at least $750 a year may add All-Sports sponsorship for an additional $200. This package provides a total of 8 months of spots during broadcasts of all Warrior athletic contests. If you are interested in donating to or becoming a member of our Business Sponsors of WSWO/ Oldies 97.3FM, please contact us at the contact tool below and we will send you the necessary information.